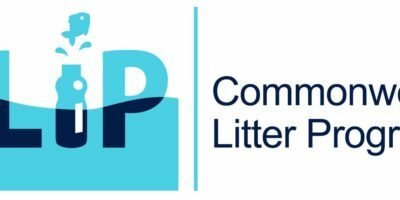 The event is being organised as part of the Commonwealth Litter Programme (CLiP), which is funded by the UK government’s Department for the Environment, Fisheries and Rural Affairs (Defra) and led by the UK through the Centre for Environment Fisheries and Aquaculture Science (Cefas). Wilton Park will convene this workshop on behalf of Cefas. Marine litter is found in all the oceans of the world. It is found not only in densely populated parts of the Commonwealth but also in remote areas, far from obvious sources and human contact. Up to 90% of marine litter is made up of plastics, originating from both land and sea-based sources. This makes plastic pollution one of the most widespread problems facing our oceans today. Developing adequate responses to this is an urgent challenge and coordinated and effective action is paramount. The issue is not confined to highly populated costal countries or region; it is a global problem that requires global as well as local solutions. This workshop will focus on supporting the development of potential national marine litter approaches for Vanuatu. It will provide an opportunity for participants from across Vanuatu to discuss opportunities to tackle the issue of marine litter in and around the Islands. The workshop is designed to draw on findings stemming from the Commonwealth Litter Programme research project (see below) and ultimately inform future action on marine litter. Participants are invited from relevant government ministries including ministries responsible for environment, oceans, and education; local academics; business; and civil society, as well as a small select group of international and regional experts. Discussions at the workshop will be structured across five pillars of proposed marine litter interventions: land-based sources; sea-based sources; removal; science and research; and education and outreach.